If you want to purchase an HTC Desire 816 mid-range phablet but the current color palette doesn't satisfy you, then you'll be happy to know that a pink model has just been spotted in Hong Kong. This comes to complement the five other color options that we've known about so far for the Desire 816: black, white, red, gray, and green. 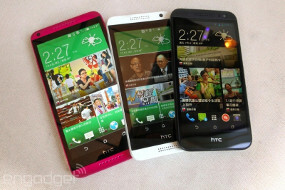 The pink HTC Desire 816 has been launched in Hong Kong earlier today, alongside the Desire 610 and Desire 616. The three devices have been photographed together at the launch event, and what you see above are the resulting live images. 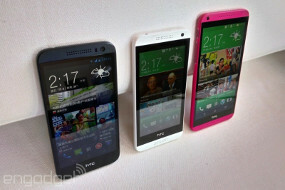 For now, the pink Desire 816 is limited to Hong Kong, so if you're located elsewhere you can't officially get one. HTC hasn't announced plans to make it global. This may change in the future, though, as smartphone makers love to release new color versions of existing devices from time to time. The pink variant has the same innards as its differently colored siblings, of course, so you're getting an identical experience - aside from the hue. 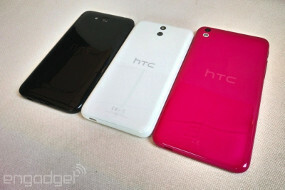 If you want to learn more about the HTC Desire 816, check out our review. It's simple rule, you like it go a head and take it. If you don't like why worry about others want they want. This is Magenta not pink. 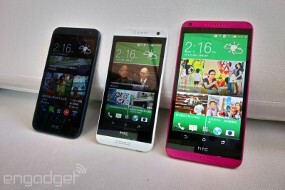 Has HTC gone color blind or do they think we are??? I am using the blue colour Desire 816 and yet they forgot that colour in the article.